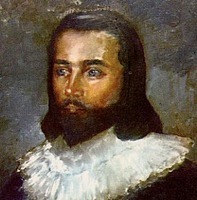 GUY, NICHOLAS, one of the first English colonists in Newfoundland; fl. 1612–31. No relationship can be definitely established between Nicholas and John Guy, though a relationship is very probable. Both Nicholas Guy and his wife were in Newfoundland by 1612 and, on 27 March 1613, a son was born to them – possibly the first English child born in Newfoundland. In 1631 Nicholas was still in Newfoundland and about to enter into partnership with Sir Percival Willoughby, one of the subscribers to the Merchant Venturers company in 1610. Guy was to manage Willoughby’s land which consisted of the northern part of the peninsula between Conception and Trinity bays. By 1631 he had already left Cuper’s (now Cupids) Cove to settle on Willoughby’s land at Carbonear where he was farming profitably. How much longer Nicholas Guy continued to live in Newfoundland is unknown, but he is an identifiable example of a settler who persevered after official interest appears to have died. Gillian T. Cell, “GUY, NICHOLAS,” in Dictionary of Canadian Biography, vol. 1, University of Toronto/Université Laval, 2003–, accessed April 20, 2019, http://www.biographi.ca/en/bio/guy_nicholas_1E.html.